“Appreciative Inquiry deliberately seeks to discover people’s exceptionality – their unique gifts, strengths, and qualities. It actively searches and recognizes people for their specialties – their essential contributions and achievements. And it is based on principles of equality of voice – everyone is asked to speak about their vision of the true, the good, and the possible. Appreciative Inquiry builds momentum and success because it believes in people. It really is an invitation to a positive revolution. Its goal is to discover in all human beings the exceptional and the essential. Its goal is to create organizations that are in full voice!" Inquiry, Thin Book Publishing, 2001, page 12. Lindy is in third grade. She has recently participated in neuropsychological, cognitive and achievement testing to help her family and school understand whether she has a disability which is at the root of her seeming inability to complete school work. Homework plus completing leftover work at recess and at home takes all of the time Lindy would otherwise have to play with friends, learn hip-hop dance, or take an art class, all things she misses terribly. Her parents, believing that they are doing what is in the best interest for their child’s education, diligently take turns sitting with her at the kitchen table to be sure the work is completed, even if it means family stress and staying up until very late very often. Because of a labyrinthine set of special education laws designed to keep her in the general classroom and working through a standardized curriculum, in order to get help, Lindy will need this “disabled” labeling. Currently Lindy shows very superior cognitive skill and average to superior achievement testing which do not qualify her for help, but as of February, she has not completed a single in-class assignment while at school. At a meeting to discuss her eligibility for special education services, the first person to speak is the classroom teacher. She explains her approach for getting the most work out of Lindy, and reviews the day’s schedule. Every explanation is punctuated by work samples, none of which is completed. There are packets with detailed drawings and exquisitely formed letters making up fabulously detailed stories, followed by many incomplete pages. “This one sheet took our entire literacy block—90 minutes,” the teacher states, paging through the remaining sheets. Before long the TEAM has different energy; faces are more open, and the TEAM begins to generate ideas for Lindy’s future success. These things that work are just part of what will also help next year’s teachers keep Lindy on the positive learning curve. Staying with what is working—that she has excellent skills, is very creative, loves to help in the classroom, and takes great care with the work that is completed—is the approach that will help keep her engaged and progressing. This appreciative approach values the best of what has been so far, and uses it to help set the direction for what can be. What is working for this child? What has worked in the past? What would we like to work in the future? Appreciative Inquiry begins with the discovery of what gives “life”— capability and effectiveness—to a system. It is typically applied to organizations approaching big change, but when scaled, its principles are equally at home in a conference room when working with the TEAM (system) of people creating an educational management approach for students experiencing school struggles. Is the student making effective progress in the general education curriculum? Is the lack of progress the result of the student’s disability? Does the student require specially designed instruction to make effective progress? Eventually the TEAM does get to student “Present Levels of Educational Performance” and even “Strengths”, providing that eligibility for special education is determined. But to get to that point, a family and student will have to spend an enormous amount of time (and even money if they do not agree with the school) focusing on the negative. That’s why it is so important to begin with the best of what works, now and in the past, for the child and all of the people in the child’s “system”. Discovery: Identifying patterns, themes, possibilities, strengths, passions, unique attributes. Lindy is seen as a child who is capable of learning when her unique strength set is engaged. Her current teacher can describe stories of when, where and how this works, can model it in her classroom, provide process praise for Lindy when she uses her strengths, and can share these stories with her upcoming teachers. Dream: Creating bold statements of ideal possibilities based on what works. Lindy is already skilled in many areas which she reveals in the individual examples of work she does complete. What is is now seen as foundational, not lacking. Design: Co-determining what should be. The sharing of what has been effective has unleashed incredible creativity and surprising good will. Lindy’s teacher is now feeling engaged in solutions, and her principal is supporting out-of-the-box approaches to fostering a child’s success. Destiny: Creating a plan and both taking and sustaining action. Lindy is not found eligible for special education. This is, paradoxically, a relief for her parents who want a focus on more of what works and less on what doesn’t. Mrs. Dawson, with the support of the school psychologist who has documented the previous steps, suggests that Lindy may not need to complete the same volume of work to learn content and build the skills expected in her classroom. In the design phase, her parents have determined that Lindy needs a positive social-emotional life. 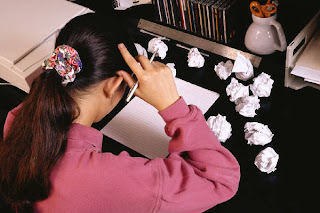 In the destiny phase, the TEAM agrees to keep homework and class work separate so that Lindy has time for playing and developing an out-of-school skill. The meeting has ended with hope. Lindy has been re-envisioned as a child of abilities. Mrs. Dawson’s successes have been lauded and her strategies documented for future teachers. The principal feels that she works with capable teachers. The parents can’t wait to do something after school besides school work. The school psychologist has a new role: “keeper of success stories”. Lindy is a real child from my case load. The names in her story are changed here. May her story not be unique. 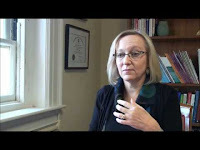 Sherri Fisher, MAPP, M.Ed., CPBS is an education management consultant, workshop facilitator, author and coach specializing in learning and productivity solutions for students of all ages, families, and schools. She is the co-founder and Chief Education Officer of Positive Edge Tutoring; a founder of Flourishing Schools; and has her own practice, Student Flourishing. She is also co-author of Smart Strengths: Building Character, Resilience and Relationships in Youth. and the power of strength-based leadership.